If you have ever enjoyed taking in the grandeur of midnight sun, try witnessing its spectacular opposite and it can certainly take your breath away. The polar night experience is equally as breathtaking and a must try for the most curious travellers. None of the Sun’s disc is visible during this time as the winter merry covers every space. Beautiful lightings and glowing rays compensate and lighten up the area for a captivating view. Vast and impressive sceneries are enclosed by beautiful layers of snow and the sky is united with a myriad of sparkling stars. One can’t help but feel mesmerised with the magical setting. It is the beauty of the polar night that makes winter time near the poles a true fairy tale. Read on to find out if this is an experience that you will add to your bucket list. What is the polar night? The polar night is a natural phenomenon that happens around the poles, where darkness lasts for longer than 24 hours, often for many days or weeks. Although completely opposite from the midnight sun, the kind of magic it brings is just undeniable. The silence, the snow and the darkness are enough to leave you breathless, let alone if you are lucky enough to see the Aurora Borealis. To witness this phenomenon you need to travel to the northernmost or southernmost areas of the planet; in other words, to either the Antarctic or the Artic Circles. There are two types of the auroral displays. Northern lights or aurora borealis are in the north while southern lights or aurora australis are south. Lights emitted can be a spectacular mix or singles of blue, red, green, yellow or pink. There are ultraviolet and infrared forms of aurora displays too. Scandinavia is a splendid place to unfold the splendor of the polar night experience. Polar nights in here can linger up to two to three months, depending on what location you are staying. Sweden is a destination that offers such an experience. The polar nights in Kiruna span for a period of 28 days. It occurs above the northern polar circle during the so-called Midwinter, which falls on Winter solstice day on the 21st of December. They usually do not see the sun again until around 4th of January. They do have some daylight a couple of hours each day when the white snow reflects some of the sun’s rays but not as much. There are a lot Arctic Aurora holiday adventure activities when you visit in Sweden. Be ready to be welcomed with with a hot drink near a fire place while the snowy adventure awaits for you outside! You can enjoy the Northern Lights in Sweden particularly in Gällivare and Kiruna, as they are arguably the best places to visit. The auroras, referred to as polar lights, are lights seen around the magnetic poles of the northern and southern hemispheres. These lights are caused by colliding electrically charged particles deriving from solar winds that enter the Earth’s atmosphere. Tromsø, Norway is a fine place that flourishes thrilling light variation between the unfolding periods of the year. In here, starting from November to January, the sun doesn’t rise as it experiences the Polar Night. Up until the Midnight Sun time, the days will then get longer at the start of May continuing to July. Moreover, the sun remains concealed for about 1,500 hours in the world’s northernmost city – Hammerfest – located in Norway. Tromsø has been a favored destination by most visitors in experiencing the phenomenon firsthand. Some popular places to visit during the Polar Night period in Norway are, Lofoten Islands, Tromsø, Hammerfest, North Cape and Longyearbyen (Svalbard). Greenland, the world’s largest island but is not a continent also offers picturesque and out-of-this-world kind of beautiful Northern Lights. Occurring in areas located at the inner border of the polar circles only, polar twilight shines no true daylight. The sun here is on or below the horizon all day, sometimes less than 6° below and a person looking out from their window, may see their own reflection even at noon. In Longyearbyen, the twilight season starts on the 26th of October and the sun reaching above the horizon will be on the 16th of February, only then will a true daylight appear. The whole dark period is termed as mørketiden. The civil polar night occurs when the sun is 6° or more below the horizon. During this period, a faint glow of light is visible at midday and the latitude is limited to above 72° 33′. In Longyearbyen, the civil polar night starts approximately from the 14th of November until the 29th of January. This kind of polar night occurs when the Sun is more than 18° below the horizon. The latitude for it is limited to above 84° 33′. With this range of latitude, astronomical polar nights cannot guarantee permanent settlements and the area mostly covering these nights are sea ice. Nautical polar nights are periods when the sun is lower than 12° below the horizon. Its latitudes are limited to above 78° 33′ and there is only a small reflection on the horizon around mid-day. 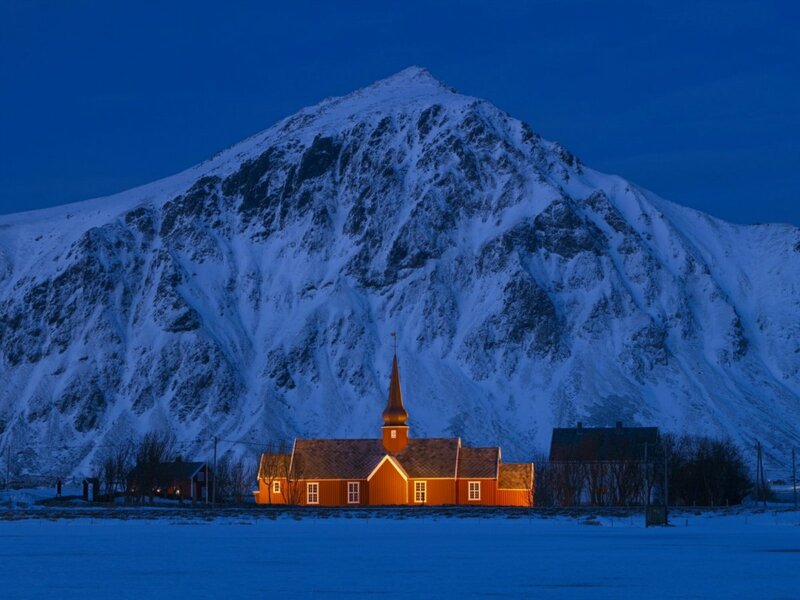 Longyearbyen is located at 78° 13′, and is just on the border for the nautical polar night. There are at least over 20 hours of darkness in a polar night experience. There will be plenty of time for beautiful picture opportunities even if the sun stays beneath the horizon. Make use of this period not to feel depressed but to witness magnificent views, faint silhouette of mountain tops, magical lights, beautiful landscapes, Arctic holiday adventures and Northern Lights among others for an unforgettable polar night experience.